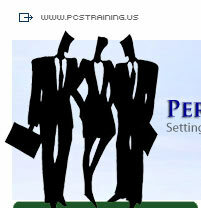 A performance training, development and consulting company. Addresses specific and general needs of the individual, teams, and organization. Partners with clients in all markets: corporations, small businesses, education systems, and city, state, and federal governments. Our mission is to assist individuals, groups, and organizations in identifying development tools, concepts, and strategies that will allow them to empower themselves in their pursuit of self actualization. Performance Consulting Services is a performance-training, development, and consulting firm that subscribes to the philosophy of Kiazen, meaning "gradual unending improvement, doing little things better and achieving ever higher standards." Regardless of the size of your organization Performance Consulting Services can serve your training and development requirements. We address the specific needs of the individual as well as the general needs of the corporation/organization. Because of the many challenges that surround the global competitive economic environment, access to training and development is critical. 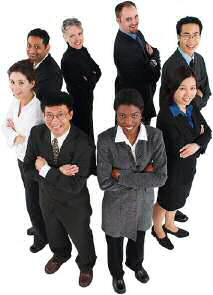 There are few major training companies that are properly positioned to provide a full compliment of training and development tools to prepare individuals or corporations to effectively and efficiently compete in this new global village. Twenty-five years of experience and exposure to a wide variety of people with common and unique lifestyles have revealed to James A. White, President of Performance Consulting Services, that success is a direct result of ones sense of awareness of ones environment. The ability to strategically position oneself to take full advantage of opportunities within ones work environment is critical. Thank you, Performance Consulting Services. Jim White is the Best trainer I have ever had. This is the second time I have had the pleasure of being in his class. He always keeps it interesting and keeps everyone involved. He is very flexible and knowledgeable. Thank You Mr. White! Your diversity trainings have increased awareness, inclusion and integrity for our Leadership 2000 +, fellows thus, allowing them to understand the importance of the challenges and needs of the diverse population they serve. Great examples and use of stories to convey messages! Turned a potentially charged topic into a useful and open experience! Thanks! Thank you for helping us design and implement a Diversity Council for the ADAMH Board of Franklin County, as a result of your work with the Board, our 52 Contract Agencies has begun to design and implement their own diversity action plans. The speaker was excellent and interesting. Well worth my time. Keep up the good work! This series should be mandatory for everyone in our organization. The exercises, roles plays and case studies helped me to see things from a different perspective and brought all the classes in the series together. Advocating Your Position was my favorite, we are going to form a committee to advocate working from home :). Thank you! Very well done! Performance Consulting Services Is Dedicated To Helping People Master Quality Performance!